Careers and jobs available in Lake Oswego, Oregon. Imagine an independent mortgage company that went against the grain during and after the 2008 financing crisis. Imagine a company committing 100% to wholesale lending, when others fled due to retail mortgage banking rhetoric and fear. Imagine bold predictions, set by dates, coming to fruition as we see today. Imagine a mortgage company that not only embraces change, but is ahead of it. Imagine a company that has a foundation and systems created and run only by originators. Imagine putting your clients before corporate margin, layers of management, special interests, and broken operations. Imagine the ability to offer significantly lower rates and fees with 100% transparency, but earning more income. Imagine the ability to take control over your future and your career by independent competition and choice, versus captive temporary employment. Imagine all of this at your fingertips with the best technology and platform in primary mortgage origination today. Imagine no more. We are Vantage Mortgage Group, Inc.
Are you a Mortgage Loan Originator stuck in the Mortgage Matrix? Or are you looking for new opportunities with a transparent locally-owned proven company that is nationally recognized? We have excellent opportunities for licensed Mortgage Loan Originators that share in our company beliefs and industry awareness. The leadership at Vantage predicted the results of the 2008 collapse and countered the false information flooding the primary mortgage market. Today it’s clear that these predictions are well and present in today’s market, making NOW the very best time in history to be an exclusive ‘Independent’ Mortgage Loan Originator without corporate influence and persuasion. If you are looking for career growth and tired of the revolving resume, independence is for you. If you do not want to be bound by warehouse lines and special interests hiding significant rate sheet margin (SRP), forced to place (steer) your clients to one lender, independence is for you. If you are tired of inconsistency, overlays, or false promises, independence is for you. 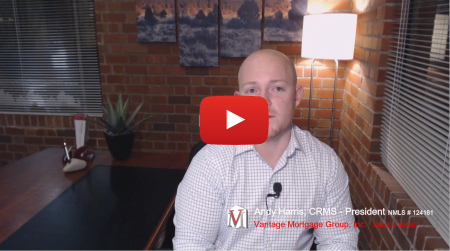 Vantage Mortgage Group provides the very best platform for MLO’s. Exclusive wholesale lending with lenders competing on price and execution is the not only the most transparent channel where you work for your clients exclusively, but produces significant advantages for your career. Consumers choose Vantage over others due to our experience and position. Many other companies try to incentivize through their compensation plans alone. This is to draw attention away from other areas of their operations lacking, along with significantly impacting their rates and fees to the consumer which we believe is vital in our industry. At Vantage, we are innovators with a Vision. Take control BACK for you and your clients. We interview and hire by word-of-mouth, reputation, awareness, and referral. We do not aggressively solicit or recruit as the majority of the industry does due to the variables you will find on this page. If you’re interested in scheduling an interview or conversation you can send resume and cover letter to info@vantagemortgagegroup.com or by fax to 866-438-5975. 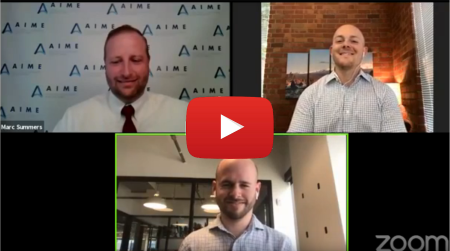 Andy Harris discussing the future of the Mortgage Broker during a live AIME Facebook event.